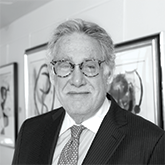 Founder & CEO | Galerie Michael, Inc.
Michael Schwartz provides expertise from a lifelong career and love of art. His career as a fine art dealer spans more than 45 years. In 1978, he founded Galerie Michael in Los Angeles, a gallery dedicated to exhibiting four centuries of top-quality European art. 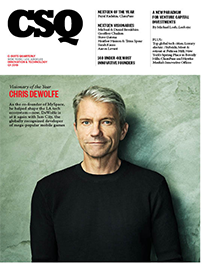 Together with clients, he has built several museum-quality collections, which have been exhibited internationally at more than 20 museums in the past five years. Galerie Michael’s model is built on posterity rather than prosperity, which means a long-term view on working with collectors in “building museum quality collections, one work at a time.” Located for the past 30 years on the fabled Rodeo Drive in the heart of Beverly Hills, the gallery specializes in European paintings, drawings, and prints from the 17th century to the present, including works by Picasso, Renoir, Rembrandt, Dalí, Miró, Chagall, Matisse, and 19th century pre-Impressionist Barbizon painters. Chinese, Spanish, Portuguese spoken.